Traveling can be one of the most amazing experiences, but it can also be stressful when you don't have the right gear (like plug converters or a portable cell charger). And if you're not a resident traveler, you may not even know what the best travel tech to bring with you on your next excursion is, whether you're exploring internationally or heading somewhere closer to home. "My favorite travel gadgets have been around the world with me and back and are ones I recommend time and time again to other travelers," Kasie Becker, expert traveler and blogger at Musings on Momentum, tells us. Travel tech gear runs the gamut and can be everything from a pair of headphones to wear on the plane to a tripod to take just the right photos once you've landed at your destination. Also worth noting: Everything has to be easily packable and portable for when you're moving from place to place (and also not too flimsy). We decided to reach out to six of our favorite travel influencers to see what they pack when it comes to tech. After all, we figure they've already done all the hard work for us. Keep reading to see the travel tech gadgets they think you should add to your own personal packing list. The Reason: "I have been left stranded without a way to charge my electronic devices in the past and refuse to ever let it happen again. When you are constantly working on airplanes and on the road, you need to know that you have a reliable power source at your disposal at any given time." 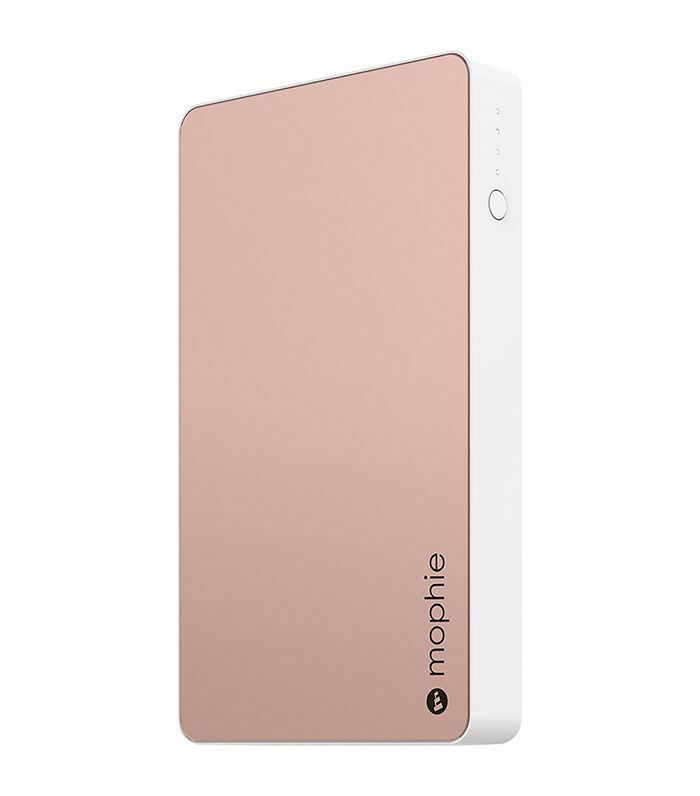 Why I Love It: "In choosing my trusty portable charger, I read a plethora of online reviews and, ultimately, came across a functional and chic rose gold option that I take with me everywhere. You can even find it tucked away in my purse most days!" The Reason: "I needed a lightweight tripod that I could easily take with me on airplanes or could throw into a backpack for hikes and day trips. 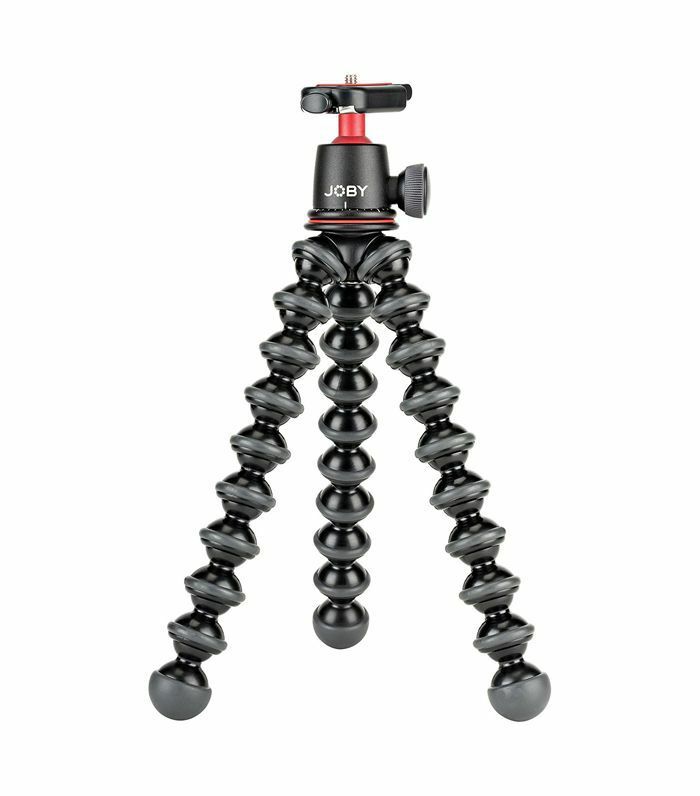 This flexible tripod came highly recommended, was budget-friendly, and has crisscrossed the globe with me multiple times now." Why I Love It: "I love a good time-lapse shot but am notoriously bad at holding a camera still. This portable tripod takes away the guesswork. I have wrapped it around the canal bridges of Venice and hung it extended out over the edge of the Seine, all in the interest of getting the perfect time-lapse. It also comes in handy when you need to fake having a photographer or videographer. Simply set up the tripod, move into position for your photo, and voilà—suddenly it looks like you're traveling with your own personal photographer." The Reason: "For summer vacations and business trips when I know I'll be bringing clothes that wrinkle easily (polyester, linen, blouses), I swear by a travel steamer. I don't have to worry if the hotel will have an iron, and actually, steamers are much easier and faster to use!" 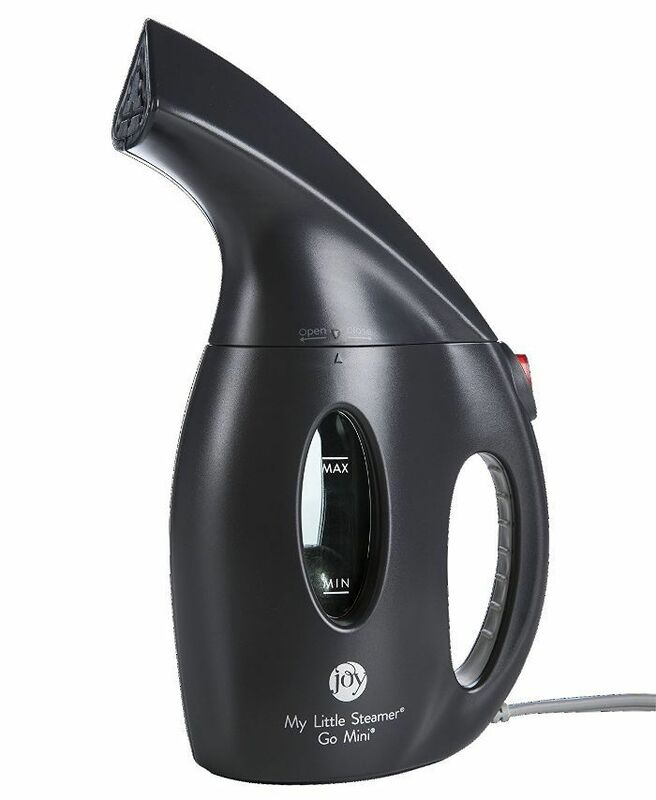 Why I Love It: "I've tried lots of brands but the Joy Mangano mini steamer is the lightest and smallest, so it's perfect for over-packers like me. It heats up in about two minutes and despite its tiny size, it's powerful enough to get out deep wrinkles!" The Reason: "The last couple of holidays I went on, I had 5% battery left on my phone, and I was a long way from my hotel, so I panicked a little. I made sure to get a portable charger as soon as I returned to the UK"
Why I Love It: "The battery lasts forever—it has up to five full charges. 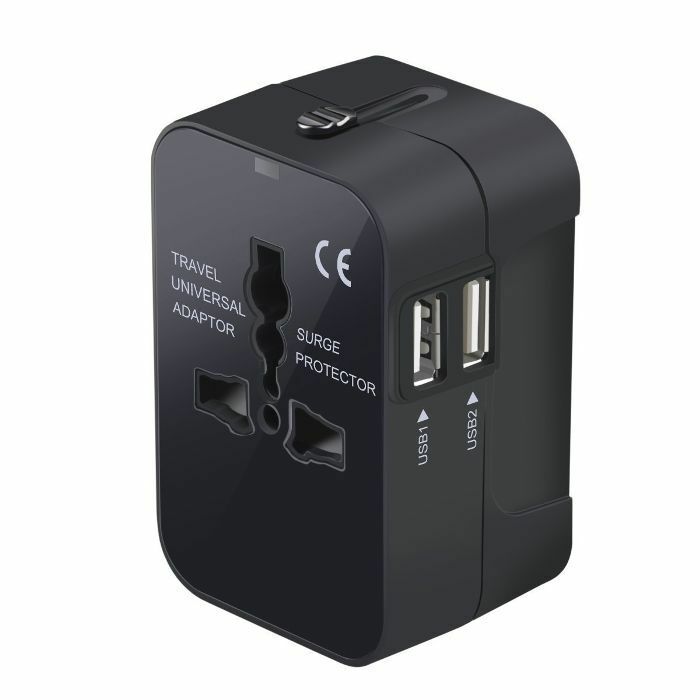 It can also charge two phones at the same time, which is fantastic if you are traveling with a companion." The Reason: "I pretty much take my headphones everywhere. They're such a useful gadget to have around when you are traveling. Whether it's a long or short flight, it can save you from so much boredom. The airport checkpoints can be quite long and dreadful. Having that distraction can really help you escape the longevity of the process, which is amazing!" Why I Love It: "I am not too fussy with my headphones as long as I can hear the music, and it feels comfortable in my ears (it also needs to look pretty!). 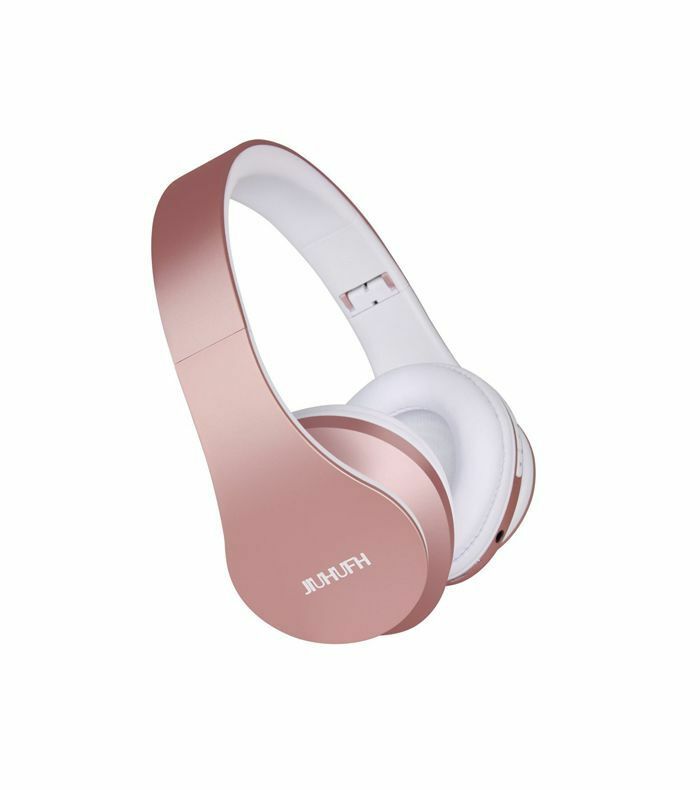 This pair from JIUHUFH is inexpensive, wireless, and I love the color and the texture." 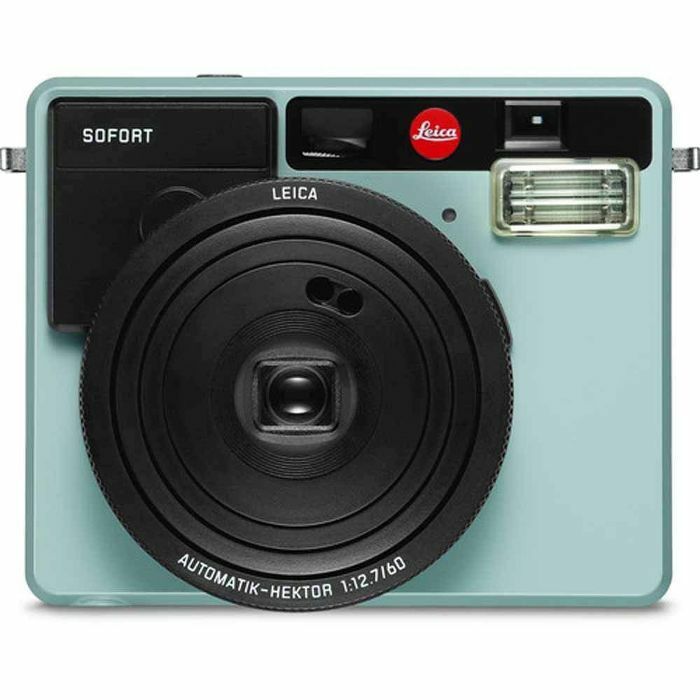 The Reason: "This camera was a gift from my boyfriend, and I take it with me on my travels specifically because I feel that it captures the perfect moments. I get the picture instantly in my hands and I am able to write something special on it (like the date or a few words that describes that moment)." Why I Love It: "One of my favorite Polaroid pictures I've taken was in Venice, Italy, last summer. It was a hand installation done by the artist Lorenzo Quinn called 'Support' to create awareness for the negative effects and impact that climate change has on the Grand Canal. It was removed in November of 2017, but luckily for me, I get to look at the Polaroid picture and go back to that exact moment I took it—on the ferry on my way to St. Mark's Square in Venice." The Reason: "When it comes to portable chargers, it's important to be picky. I've bought many chargers that don't hold up their charge or take eight-plus hours to recharge." 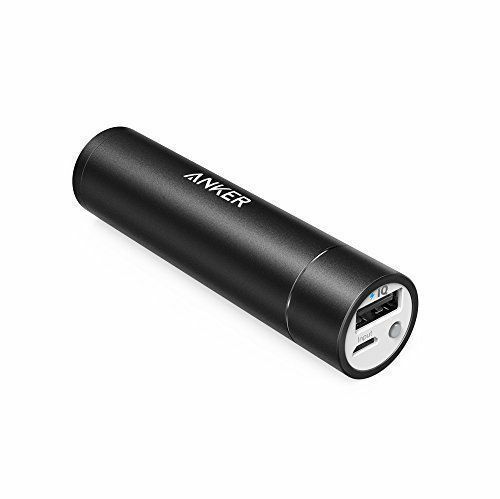 Why I Love It: "A portable charger is a definite necessity for me when I travel. I use my iPhone constantly because I'm always taking photos, or looking up translations, or looking at my GPS. 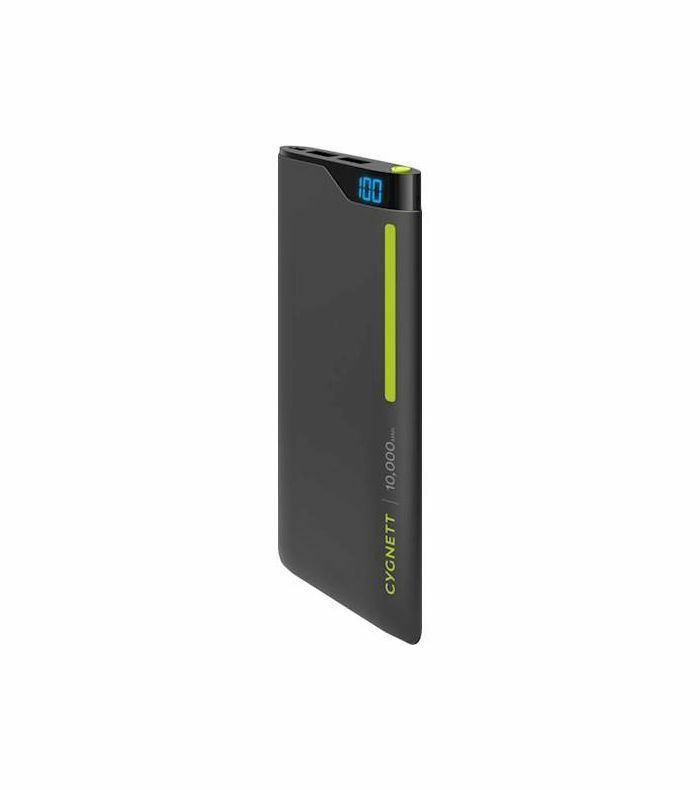 The power gets drained pretty quickly with so much use—so this portable charger has been an absolute lifesaver!" The Reason: "Having the right wall adapter and a good battery backup means I can be out the door faster without fear of my devices dying on me!" Why I Love It: "I do enough international travel to know how important wall adapters are. The last thing you want is to get to your destination really late at night when nothing is open only to realize you have no way of charging your devices. I love this specific adapter because it's all-in-one, which minimizes what I have to carry." 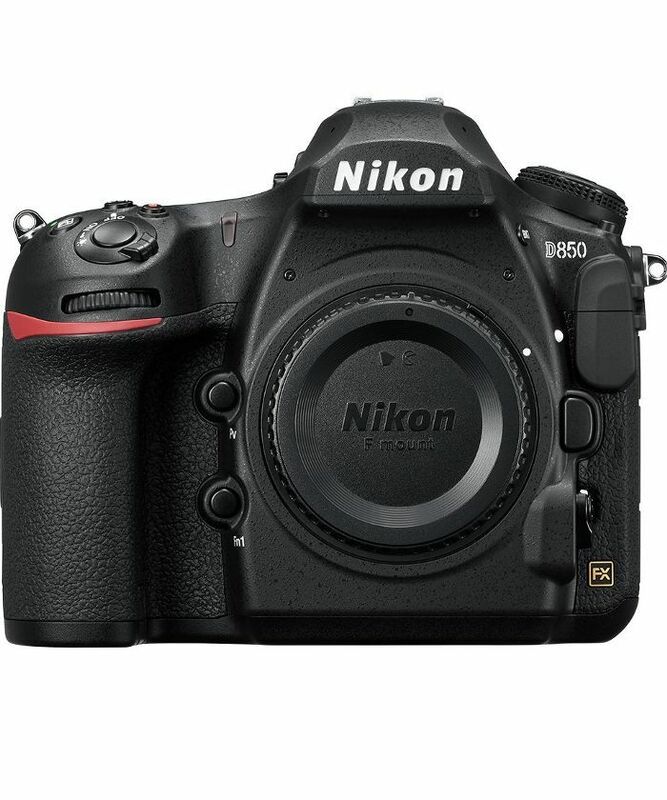 The Reason: "When I travel, the Nikon D850 and 28mm lens are always the first things I pack. The 28mm lens is the perfect focal length for landscape and street photography." 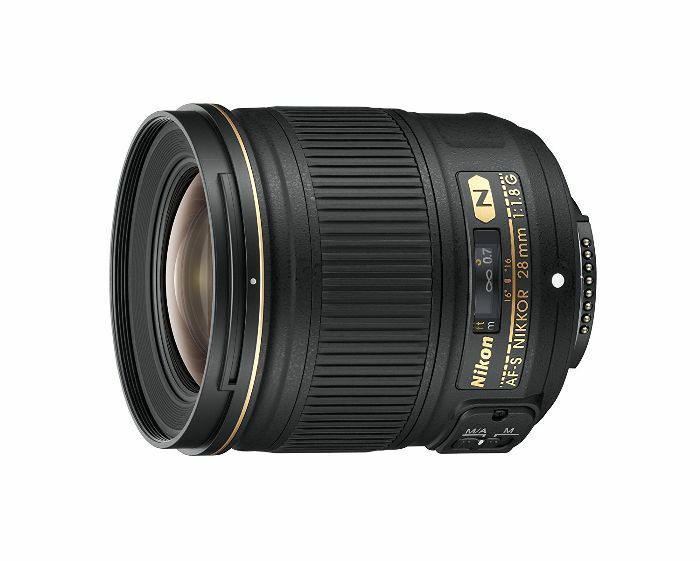 Why I Love It: "The lens is sharp, lightweight, and has nanocrystal coating, which renders beautiful colors. I rented this lens and then fell in love. Even when I take portraits, the lens distortion isn't too bad where I can't fix it while editing. After renting it, I knew it had to be a part of my travel photo gear kit." The Reason: "The brand's goal is to produce great-looking bags that are functional for tech and sports gear. My favorite bag of theirs, the Scholar, is perfect for my travel needs. 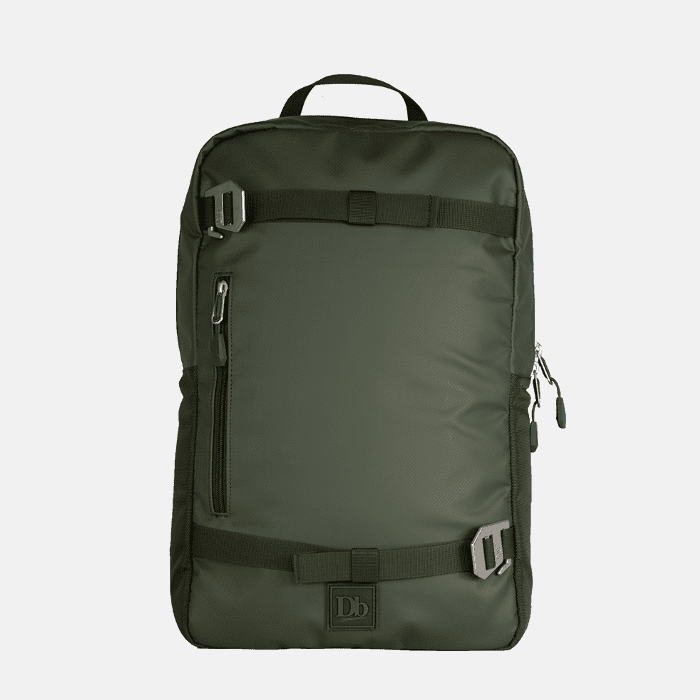 It's a super lightweight backpack that holds my camera gear and laptop for when I'm working away from home and need to edit on the go." Why I Love It: "I love the faux leather, comfortable straps, and small pockets so I don't lose things. When looking around for a great travel bag, I didn't want something that looked like a camera bag (I didn't want to be a target for anyone trying to steal camera gear). I love that this looks like a regular backpack, but I can store my gear easily and safely."